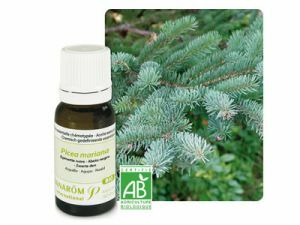 History: black spruce, Picea mariana is a natural tree grown in Canada. Usually found in wet, marshy areas where wild trees can reach 15 meters in height. The essential oil of Black Spruce is one of the best kept secrets of Canada. Overall, the scent is very clean, fresh and pleasant. Action: anti-inflammatory, antirheumatic (prevents and / or relieves rheumatic pain and swelling), relieves spasms and cramps, antiseptic, deodorizing - removes odors, decongestant, diuretic, warming. Purpose: reduces inflammation, pain, and arthritis rheumatism, bronchitis, coughs, eczema, acne, a muscle spasm. Contraindications: While the oil is fresh, there are no specific risks to his safety.